HOW DO I TAKE PREVYMIS? You may be eligible for a special savings offer. CLICK HERE to learn more. Are you having a bone marrow transplant? 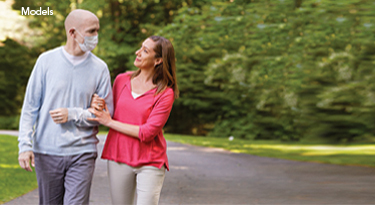 PREVYMIS is a prescription medicine to help prevent cytomegalovirus (CMV) infection and disease in adults who have received an allogeneic hematopoietic stem cell (bone marrow) transplant. It is not known if PREVYMIS is safe and effective in children under 18 years of age. Do not take PREVYMIS if you take pimozide or ergot alkaloids. If you are taking PREVYMIS with cyclosporine, do not take pitavastatin or simvastatin. Tell your doctor about all your medical conditions, including if you have kidney or liver problems; are pregnant or plan to become pregnant, since it is not known if PREVYMIS will harm your unborn baby; and if you are breastfeeding or plan to breastfeed, since it is not known if PREVYMIS passes into your breast milk. Talk to your doctor about the best way to feed your baby while taking PREVYMIS. Tell your doctor about all of the medicines you take, including prescription and over-the-counter medicines, vitamins, and herbal supplements. PREVYMIS may affect the way other medicines work, and other medicines may affect how PREVYMIS works and can cause serious side effects. Know the medicines you take. Keep a list of medicines and show it to your doctor and pharmacist when you get a new medicine. Your doctor or pharmacist will tell you if it is safe to take PREVYMIS with other medicines. Do not start or stop taking another medicine without telling your doctor first. The most common side effects while taking PREVYMIS include nausea, diarrhea, vomiting, swelling in your arms and legs, cough, headache, tiredness, and stomach (abdominal) pain. These are not all the possible side effects of PREVYMIS. Please read the accompanying Patient Information for PREVYMIS, and discuss it with your health care provider. The Physician Prescribing Information also is available.